In a collaboration between Good News Ministries and Patrick Campbell, founder of the Cross of St. Benedict Society, the Good News Cross of St. Benedict was designed in April of 2017 to protect your home and family from evil. It is shaped like a simple monstrance, the cross pieces representing rays of the Light of Christ. 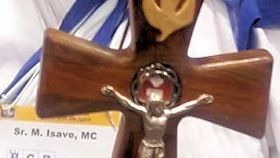 The St. Benedict medal is positioned where the Host is held in the monstrance, representing Jesus conquering the devil through the medal, just like he does through the Host. Above the medal is hand-carved dove, representing the Holy Spirit, to remind us of our call to embrace the gifts of the Holy Spirit in our life’s vocation. The Holy Spirit is descending on those who possess the Good News Cross. With the corpus of Christ below it, together they remind us that we need a personal relationship with Christ, who conquers personal sin and death, and a personal relationship with the Holy Spirit, who sends us out to conquer sin and death in the world. Blessed salt is sealed into the top of the cross. To see prices and size options, and to place your order, visit the online store of the Cross of St. Benedict, here. 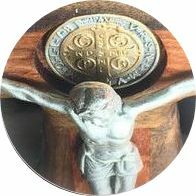 The artist and his family are offering to Good News Ministries a 10% discount coupon for this and all other crosses and sacred prints on the Cross of St. Benedict website. After selecting the one you want, add it to the shopping cart, then click “view or edit your cart” and use the coupon code AUF5V9O4L831. NOTE: Your purchase will help the Campbell family and Good News Ministries at the same time. They will donate to Good Ministries a full tithing (10%) of all sales. Praise the Lord! The two woods of the cross are walnut outside and bubinga inside. The walnut tree is very common in the U.S., and the bubinga tree, also known as African rosewood, grows in Malawi (Central Africa) where our chaplain, Mons. Joseph Kimu, lives and where Good News Ministries supports his projects for the poor. Thus, the Good News Cross shows a union between Good News Ministries, which is located in the U.S., and our chaplain’s ministry to the poor. 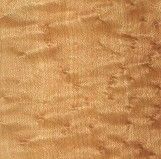 The dove is carved from Birdseye Maple, so named because the grain of the wood resembles the eyes of birds. If you think that’s awesomely appropriate for a Holy Spirit dove (the dove is a bird and the Holy Spirit sees every detail of your life and problems), wait, there’s more! The “eyes” are formed when the tree attempts to start numerous new buds to get more sunlight, but due to poor growing conditions, the new shoots are aborted, producing tiny knots. Think of the times when new growth was blocked or stunted in your own life or in someone you care about. Without the good growing conditions that a personal relationship to Christ provides, we get all knotted up. It is the Holy Spirit who enlivens our faith in Christ and frees us to grow strong spiritually. Patrick Campbell, the artist, did not realize the symbolic meanings of the woods when he chose them, but he became excited about it when informed. 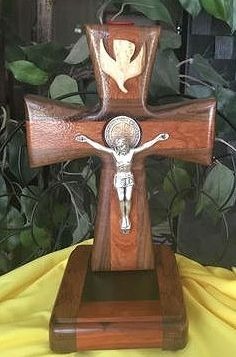 And he further pointed out that, because it uses three different woods-in-one, it is a Trinity Cross honoring the enduring love of the Heavenly Father, Our Lord Jesus Christ, and the Holy Spirit. In a most unusual way, Patrick Campbell discovered his vocation of making St. Benedict crucifixes. As an artist who wanted to win battles for the Lord (see his testimony on how the Lord nicknamed him “Batman”) he founded The Cross of St. Benedict Society, a ministry of praying for the healing of families. He and his wife have nine children. The family shares in this ministry together. It is their sole means of support. Patrick and his wife Joy were once devastated by divorce and wounds of heartbreak. 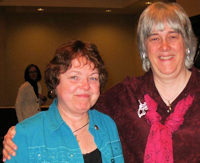 Their large, blended family suffered from psychological and chronic physical illnesses. In a sudden turn of events at the end of a Charismatic healing service, the Lord literally called them to begin the ministry of healing families as a family. Their spiritual director calls them “First Responders”, adhering to Pope Francis’ call to heal the wounded. 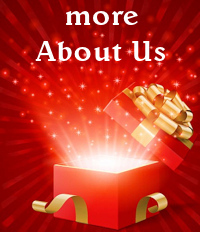 For more about them, visit their website. Why include a Saint Benedict medal in the cross? After the Good News Cross of St. Benedict has been blessed by a priest with the official exorcism prayer of St. Benedict, it becomes a powerful spiritual warfare weapon for the home. The St. Benedict medal is known for its power to ward off the devil and his influences. Many years ago, St. Benedict became a patron saint for Good News Ministries because we were suffering an unending series of technical equipment problems that interfered with our work. We’d fix one problem and another would pop up. As soon as that was fixed, another piece of equipment broke down. After we obtained a cross of St. Benedict and asked for his intervention, the problems immediately stopped. St. Benedict has been known for many centuries as a heavenly intercessor for protection and healing. The medal of St. Benedict has spread throughout the world as a powerful sacramental against evil. What happens when you buy a Good News Cross? When Terry and Ralph Modica (founders of Good News Ministries) met Patrick and Joy at a conference in 2016, they became fast friends and ministry collaborators. The Modicas bought one of their crucifixes, obtained the special blessing for it from their parish priest, and hung it in their home. Immediately, it made a difference — so much so that they bought another, one for each floor. 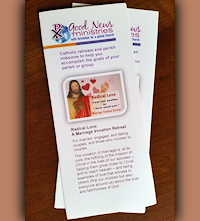 Then one morning during Eucharist Adoration, the Lord gave Terry an image of a new cross and inspired her to ask Patrick to design it for Good News Ministries. This has become a win-win-win collaboration! Members of Good News Ministries (visitors to our website and subscribers of our email ministries) who purchase the Good News Cross will bring its victorious power into their homes while supporting Patrick’s family and their ministry. And Patrick will tithe back to Good News Ministries 10% of the income from this cross. 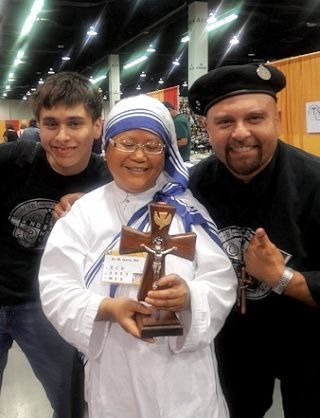 Moreover, since GNM has many members in poor countries who need the victory of Christ and the empowerment of the Holy Spirit as much as anyone else, we are providing an opportunity for kind benefactors to buy crosses for them. All for the sake of sharing in Christ’s victory and the Holy Spirit’s power! 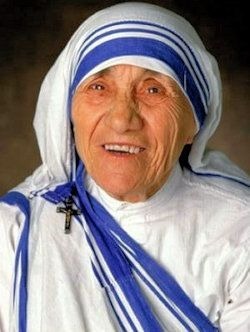 Saint Teresa of Calcutta is now connected to Good News Ministries via our Good News Cross of St. Benedict! On September 2, 2017, the Good News Cross found its way into the Order of the Missionaries of Charity. 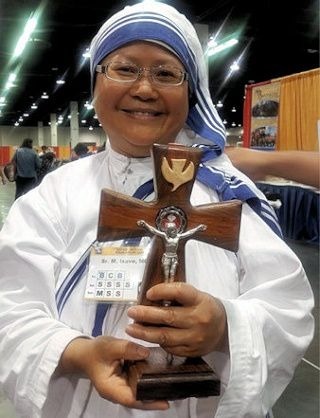 The Sisters had been looking for a crucifix in which to embed a first class relic of Saint Teresa. They chose our Good News Cross. The artist Patrick Campbell and his family, who work together in the ministry of The Cross of St. Benedict Society, gifted this Good News Cross to the Order. From a subscriber named Bobby: "Too often Catholic pencil pushers use their hierarchy of intelligence, throwing out four syllable words, forcing the reader to open a dictionary, promoting self and not Jesus Christ and Him crucified. Other astute writers will quote from everything they have read and springboard into a verse or two from the Bible. What I like about GNM, you present the truth in a simple and non-compromising format that anyone can understand. Jesus taught on the level of the people who were listening."